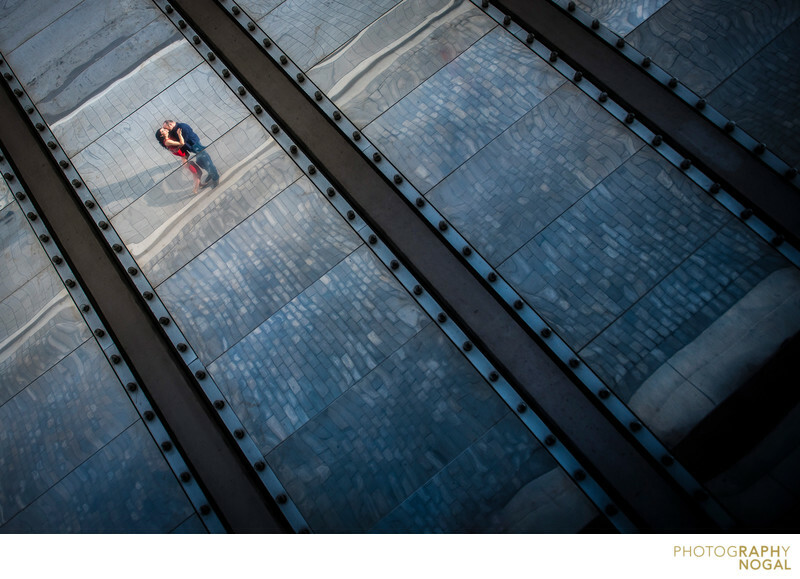 This photo shows a couple hugging and they are reflected in the mirrored marquee at the Sony Centre in Toronto. The image was taken during an engagement session photo shoot. Off camera flash was used to illuminate the couple and allow them to pop from the background of the image.